Stealthy mixed reality startup Magic Leap has been having a bit of a tough time on the publicity front of late. Its head of PR departed last month, following a report by The Information suggesting it had inflated claims about its tech, and that a commercial product remained far further out than its marketing messages had suggested. And that despite investors ploughing some $1.4BN into the three year old, still productless startup. All of which perhaps explains why CEO Rony Abovitz felt the need to leap into 2017 by penning a blog post aimed at putting some positive puff back into Magic Leap’s image. The problem is, you can’t fight cynicism with hot air. And Abovitz’s post has Zeppelin’s worth of the stuff. First a few sample reviews from some nameless grumpy mouse tech bloggers: “this is the dumbest thing I have ever read”… “it sounds like an ‘essay on creativity’ assignment written by an 8th grader”… “wow”. Our first system will be the first step towards a really cool dream. 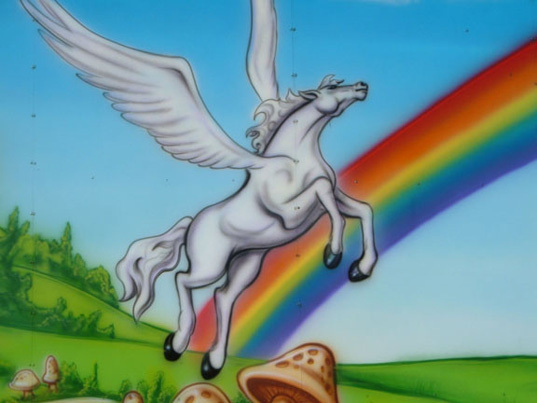 Of flying squirrels and sea monkeys and rainbow powered unicorns. Of most anything you can imagine. The whale-sized problem in the room here is that penning some trippy PR is not going to go very far towards correcting a growing suspicion that all might not quite be as it seems at this highly financed, heavily hyped mixed reality startup. And as my colleague Lucas Matney wrote last month: “It’s clear that the time has arrived for a shift in the way the company communicates its ambitions. So what, if anything, can we take away from Abovitz’s post? And I don’t mean idle considerations about what all those dreamers might be smoking inside their “really big space”. What concrete things can we learn? In truth not very much — but here’s what, to my eye, looks like a few creeping realities intruding on this fantastical dreamscape. Abovitz does also tell us about a personal concern of his — relating to the rise of AI and how information systems might edit out the intangible things that are really important in life. This is a rather interesting thought. It’s just a shame it’s drowned out by all those banal rainbow powered unicorns.